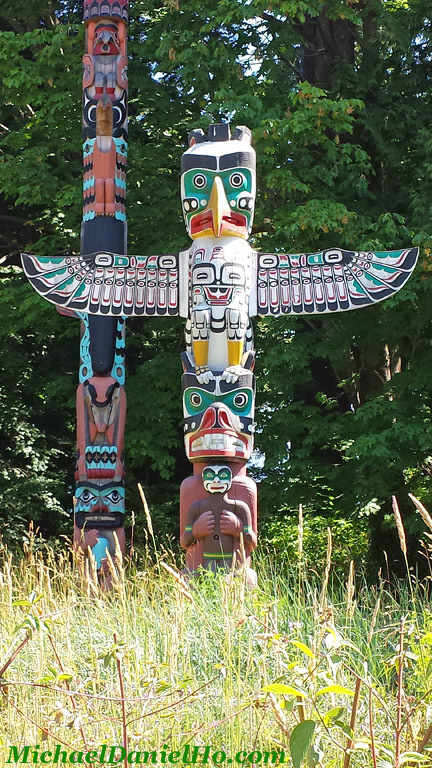 Still on my road trip in Canada. Leaving the Rockies and heading to Vancouver Island for some Killer whale photography. I am still having trouble with my new Microsoft Surface 3 tablet. It is not easy to look at the photos and process them a bit to for posting. Visit my website MichaelDanielHo.com to see photos from my previous travel and wildlife photography trips. Still on my road trip in the Canadian Rockies. I am using my new Microsoft Surface 3 tablet on the road for the first time and it is not easy to look at the photos and process them a bit to for posting. Visit my website MichaelDanielHo.com to see photos from my previous travel photography trips and I will try and keep in touch now and then. 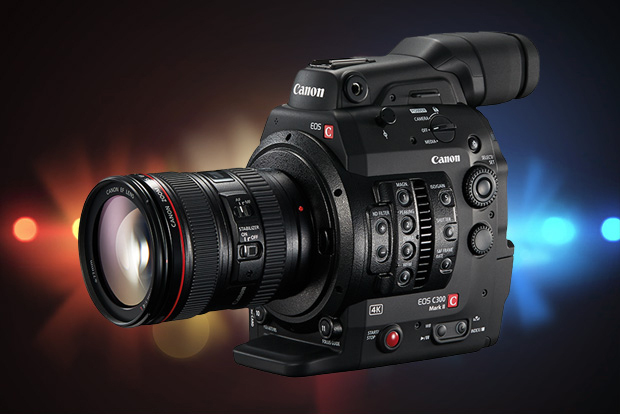 The second half of 2015 will be decision time for Canon. They want to introduced the EOS-1D X Mk II, EOS-5D Mk IV and EOS-6D Mk II, three full frame cameras that need a replacement soon. The EOS-6D Mk II will still be the least expensive full frame camera in Canon's line up and may go slightly upmarket with a new sensor, more AF points and higher native ISO with better weather sealing, higher quality material, powered by the DIGIC 6 processor(s). 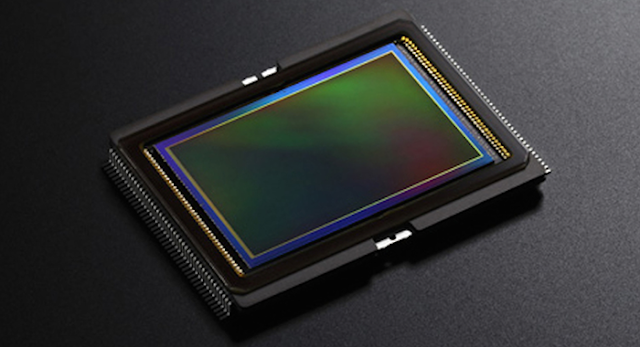 The EOS-5D Mk IV may come with a low 20MP sensor but will be equipped with a new AF system, perhaps sharing it with the new EOS-1D X Mk II. It will be powered by new processors, most probably dual DIGIC 6+ but DIGIC 7 is also possible but unlikely for now. 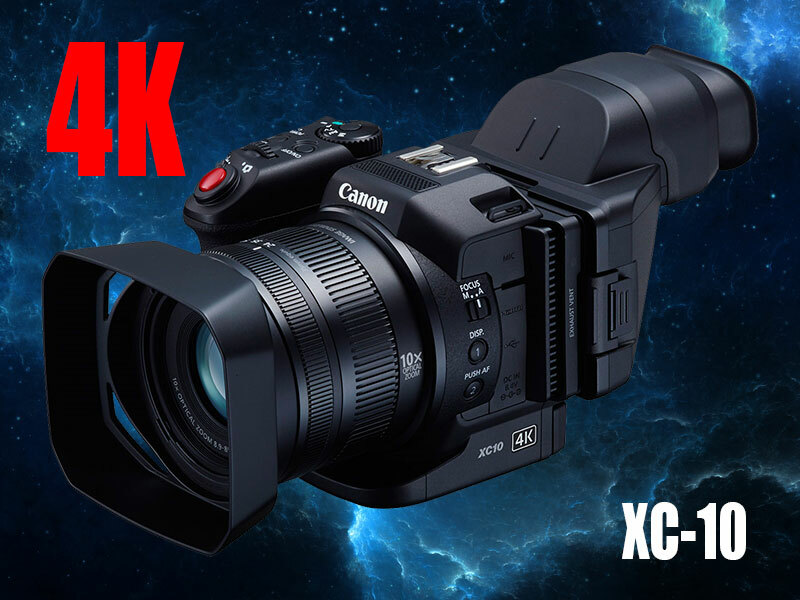 It will boast superior ISO performance and 4K video is still a possibility. The EOS-1D X Mk II will be a Nikon D5 slayer. It will have a new mid 20MP sensor, state of the art AF system accompanied by unmatched dynamic range and native ISO performance. Multiple new processors will power the camera to a slightly higher frame rate, perhaps up to 14 fps without the need to lockup the mirror. It will have improved ergonomics and a slight weight and shape change due to improved material. Everything is still very fluid in the Canon's decision making process. Nothing has been firmed up yet and I suspect once Nikon announce their D5 later this year, we will know more about Canon's plans. Test cameras are out in the wild with selected contract photographers and I hope to get more information as the summer and autumn months roll around. Keep checking back for the latest development. I am still on my road trip in the Canadian Rockies doing some travel photography. Visit my website MichaelDanielHo.com to see photos from my past trips and you can follow my travel on Twitter and Facebook. Canon and Nikon are both expected to release their respective top-of-the-line camera - EOS-1D X Mk II and D5 some time in late 2015 or early 2016. 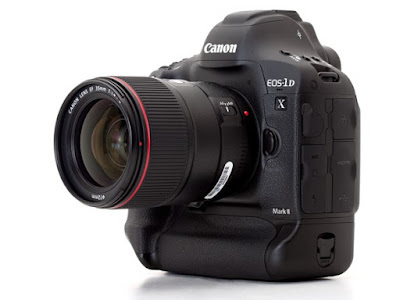 I have written about the upcoming EOS-1D X Mk II but so far there is no real specific information about its capabilities. Nikon Rumors claims the new Nikon D5 will have 4K video, 20MP full frame sensor, native ISO of 102,400, 15 fps and 173 AF points. The first three features sound plausible but the last two sound like a wish list. I will be very surprised Canon will let Nikon trump their Mk II camera. 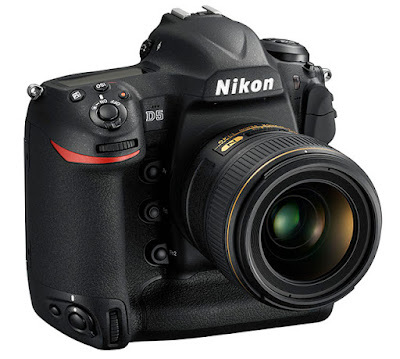 My guess is Nikon will announce first, follow by Canon and delivery will start some time in Q1, 2016 for both cameras. My readers know I have picked the EOS-1D X as the best sports and wildlife photography full frame camera 3 years in a row. I expect the Mk II to keep that title again in 2016. I am on the road traveling in the Canadian Rockies for some travel photography. Ending my trip in the Gulf Islands of British Columbia for some Killer whale photography. Visit my website MichaelDanielHo.com to see photos from my previous trips and I will try and keep in touch now and then. Sigma has announced its new 24-35mm f/2 DG HSM Art lens for Canon, Nikon and Sigma mounts. The new 24-35mm zoom is the second large aperture zoom lens Sigma has launched recently. It follows the impressive Sigma 18-35mm f/1.8 DC HSM Art lens for APS-C cameras and is the first time we’ve seen an f/2 zoom for a full frame DSLR. Sigma claims that optical performance of the new zoom lens is comparable to Sigma’s 24mm F1.4 DG HSM Art and 35mm F1.4 DG HSM Art lenses. As such, Sigma suggests that it can replace 24mm, 28mm and 35mm prime lenses in your camera bag with this single zoom lens. Large-diameter, aspherical lens elements, which require advanced technologies to produce, one “F” Low Dispersion (FLD) glass, and seven Special Low Dispersion (SLD) glass elements with two aspherical lenses. The advanced optics and optimized lens power distribution minimizes spherical aberration, axial chromatic aberration and field curvature, resulting in outstanding optical performance. 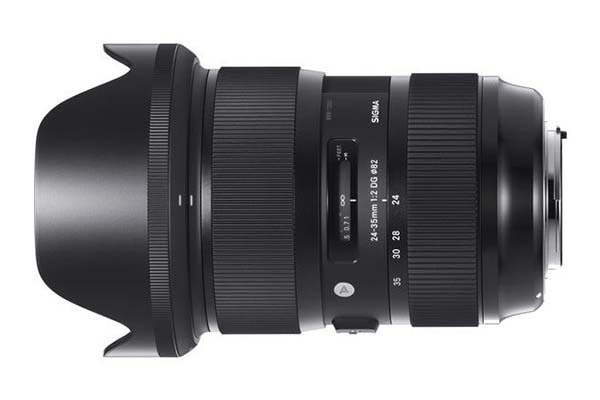 The Sigma 24-35mm f/2 DG HSM Art lens is compatible with Sigma’s USB DOCK, which allows photographers to update the lens’ firmware, adjust focus points and customize full-time MF function settings by using Sigma’s Optimization Pro software. 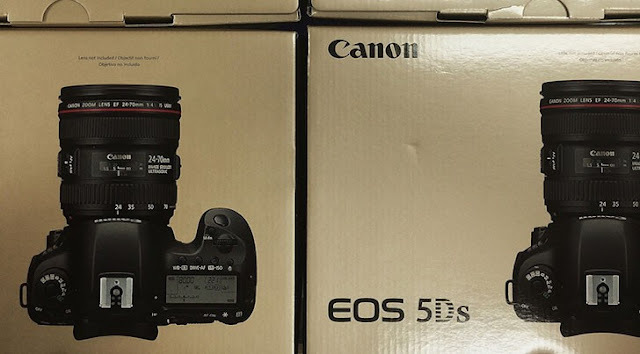 The Canon EOS-5Ds and EOS-5DsR production model cameras are steadily shipping, first to buyers who have placed their pre-orders and then to other customers as orders come in. Click here to see more JPEG and RAW photos taken with a production EOS-5Ds camera running firmware version 1.01. The glass used was the Zeiss Otus 85mm f/1.4 lens. 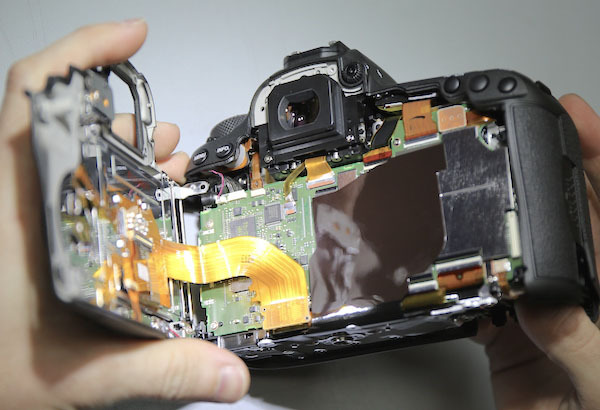 Roger at LensRental.com decided to tear down a production model of the EOS-5Ds to reveal its internal parts. You can read his article here. 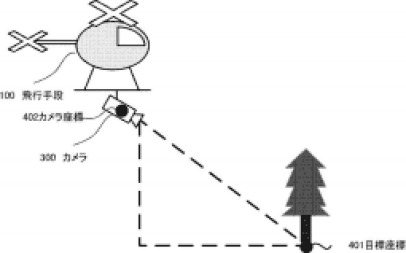 Egami, the Japanese photography blog has discovered a new Canon patent that appears to involve the movement of drones and cameras. 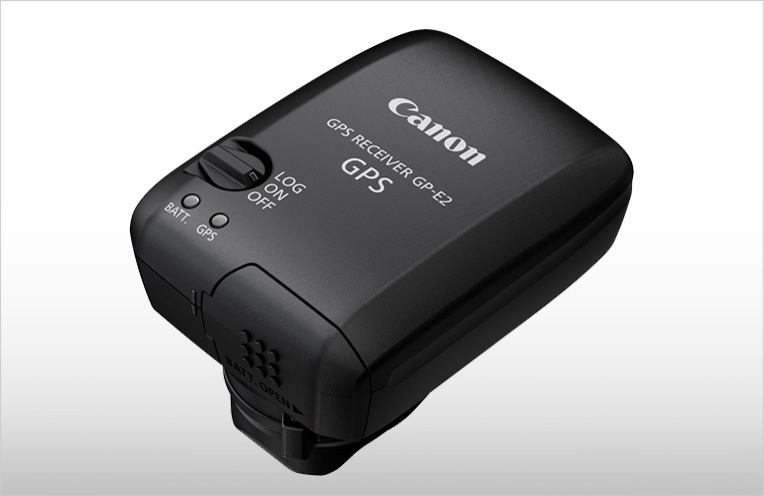 It carries an altimeter and can pinpoint the location of the camera (via translation). Canon has revealed the new PowerShot G3 X compact – the first superzoom model to join Canon’s ‘Premium Expert’ range of cameras – which combines a 25x optical zoom lens, a large, 1.0-type, 20.2 Megapixel sensor, a dust-proof and drip-proof body and an extensive range of manual controls over exposure settings to deliver advanced performance for shooting stunning stills and recording Full HD movies. The 25x lens of the PowerShot G3 X gives a zoom range of 24-600mm (35mm equivalent) and includes an intelligent, advanced 5-axis Image Stabilizer for capturing sharp photos and videos at all focal lengths. The PowerShot G3 X’s bright f/2.8-5.6, 25x optical zoom gives an amazing focal length range of 24-600mm, and also features a 9-blade aperture, to ensure the camera is ideal for capturing an incredibly wide range of subjects; everything from wide-angle landscapes to stunning portraits with beautiful background blur and distant subjects in exquisite detail at the telephoto end of the zoom range. A large 1.0-type, back-illuminated, 20.2 Megapixel CMOS sensor and DIGIC 6 processor combine in the HS System to deliver exceptional image quality (up to ISO 12,800) even in extreme low-light conditions, making it easy to capture the real atmosphere of the moment with great detail. 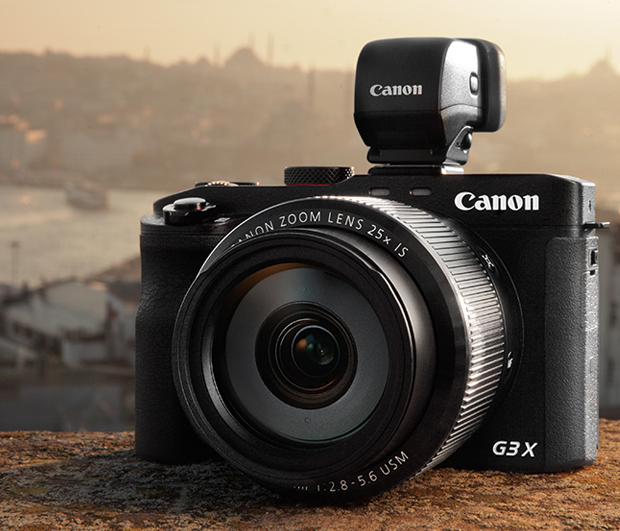 Thanks to an intelligent, advanced 5-axis Image Stabilizer, the PowerShot G3 X automatically adapts and ensures sharp, detailed photos and videos even when shooting at the telephoto end of the zoom or handheld in low-light. Shooting stunning Full HD movies is easy with the PowerShot G3 X with full manual control over aperture, shutter, ISO and focus pull plus a choice of variable frame rates of 24p, 25p, 30p, 50p or 60p. Filmmakers can achieve perfect focus with the MF Peaking function and use Aspect Markers to frame in popular movie formats; your creativity can be easily monitored whilst shooting with HDMI live output to an external monitor. High quality stereo sound can be achieved via a range of versatile sound recording options that allow the use of an external microphone and headphones (via 3.5mm jacks) and Full HD movies are recorded in MP4 container format for improved compatibility with mobile devices. The PowerShot G3 X offers full manual control over settings and features a dedicated mode dial and exposure compensation dial on its top plate. A large, 8.0 cm (3.2”), 1.62 million dot, tiltable touch screen has an EOS-like interface and ensures excellent colour accuracy, image clarity and contrast. The touch interface enables more intuitive control, with pinch zoom capability in review mode and Touch AF for instant selection of focus points and for ensuring accurate and smooth focus pull in movies. Quick access to advanced manual controls and settings is made easy thanks to a dedicated mode dial, an exposure compensation dial and a customisable, smooth, Lens Control Ring that allows for control over subtle focus adjustments – the Lens Control Ring also allows you to incrementally adjust settings such as aperture and shutter speed. Full Manual and RAW with multi-aspect support can be used to get just the shot required, whilst there’s also a BULB exposure mode, plus a built-in 3-stop ND filter extends shooting capabilities, such as shooting in daylight with slower shutter speeds. The PowerShot G3 X boasts a host of other features including ultra-fast focusing thanks to a super-responsive 31-point Ai autofocus system and high-speed, sustained continuous shooting at up to 5.9 frames-per-second. The camera also features an impressive array of creative modes including a choice from seven different Creative Filters, Star Mode, Creative Shot Mode and Background Defocus Mode to achieve beautiful, SLR-style background blur. The PowerShot G3 X is compatible with a wide range of Canon accessories, including Speedlite flashguns and a high-resolution electronic viewfinder. A new Short Clip movie mode allows users to record short clips (between 4 and 6 seconds) that can easily be shared via social media networks. These can be recorded with a choice of playback effects: Constant, Double speed, Slow (half) speed or Action Playback. Using the Mobile Device Connect Button or Dynamic NFC makes it quick and easy to wirelessly transfer images to smart devices via WiFi while Image Sync can automatically back up to cloud-based services, such as Canon’s own irista and Flickr. A new Canon Camera Connect app (which is also compatible with Canon EOS WiFi-enabled cameras) enables advanced remote shooting with the camera, including Touch AF and access to most creative modes. 20.2 Megapixel HS System with 1.0-type CMOS sensor and DIGIC 6 processor for stunning low-light results up to ISO 12,800. 25x 24-600mm* f/2.8-5.6 Canon optical zoom lens with 9-blade aperture. Intelligent IS adapts to the situation for sharp shots. Expert handling with smooth action Lens Control Ring, customisable menus, shortcut buttons and dedicated exposure compensation dial. WiFi with Dynamic NFC and Mobile Device Connect Button. Remote shooting possible via smartphone or tablet. Wireless image back-up to the cloud using Image Sync. 8.0 cm (3.2"), high-resolution (1620k dots), tiltable PureColor II G LCD touch screen with Touch AF. Super-fast 31-point AiAF and sustained continuous shooting at up to 5.9fps. 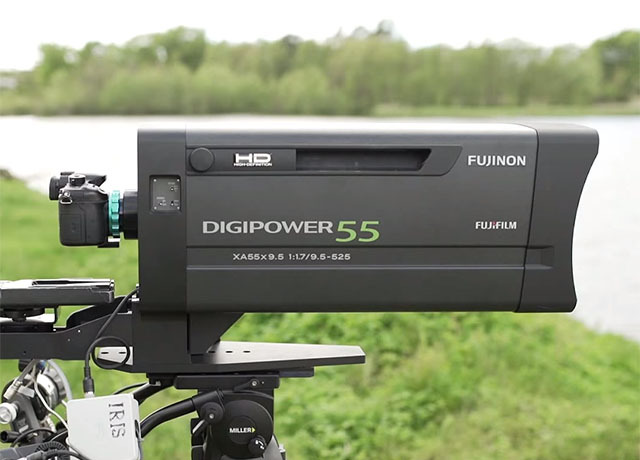 Multi-aspect RAW file support, built-in ND filter and BULB exposure mode. Full HD movies with variable frame rates (24p, 25p, 30p, 50p and 60p); 5-axis Dynamic Image Stabilizer for steady movie footage. Manual control in movie for extended creativity (Aperture, Shutter speed and ISO sensitivity); MF Peaking for accurate focusing. HDMI live output. Support for external microphone and headphones. Creative Filters, Star Mode, Creative Shot Mode and Background Defocus. Compatible with optional accessories including a high-resolution electronic viewfinder and EOS Speedlite flashguns. 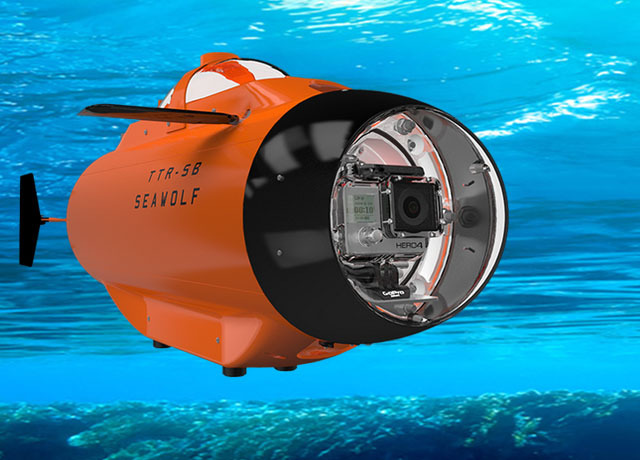 Estimated price $1,000 and delivery in July 2015. 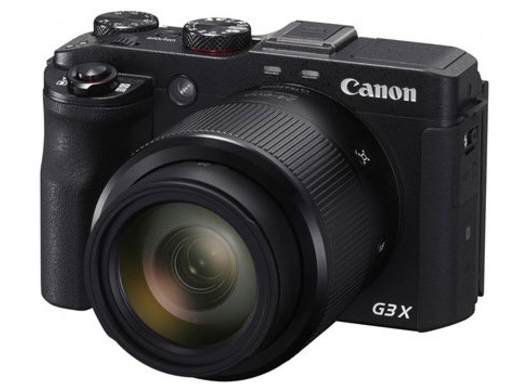 The Canon PowerShot G3 X camera may be available very soon. The above image and specifications of the camera have appeared. Many photographers user Adobe Photoshop and Lightroom for their photo editing needs. Adobe announced their latest version, Lightroom CC and Lightroom 6 in April of this year and today announced the 2015 Creative Cloud Tools and Services. 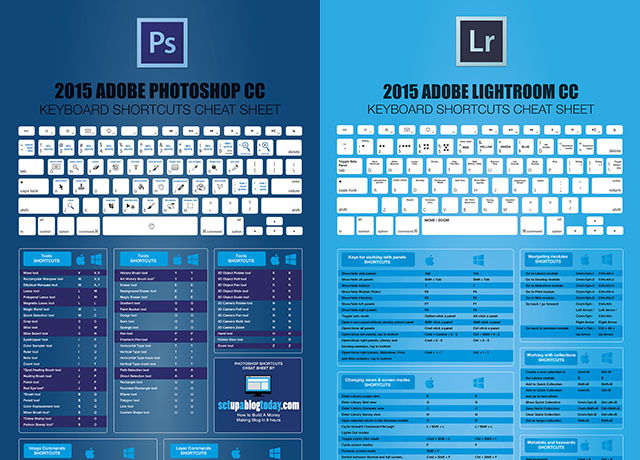 There are many shortcuts in Photoshop and Lightroom built into the keyboard but who can remember them all. Below are two very handy cheat sheets for all the keyboard shortcuts in the latest version. It's already in a jpg file format. Click here to save the Lightroom shortcuts and Photoshop shortcuts as full sized jpg files and keep them handy for future reference. SAN JOSE, California, June 16, 2015 — Adobe today launched a milestone release of its flagship Adobe Creative Cloud tools and services. 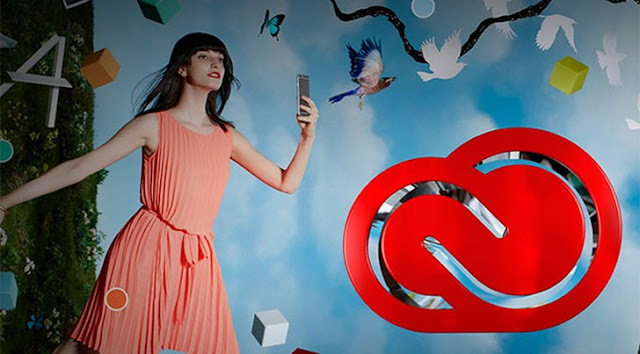 The 2015 release of Creative Cloud includes major updates to Adobe’s industry-defining desktop tools, including Photoshop CC, Illustrator CC, Premiere Pro CC and InDesign CC; as well as new connected mobile apps for iOS and Android. The company also shipped Adobe Stock, the industry’s first stock content service to be integrated directly into the creative process and the tools creatives use every day. In addition, Adobe announced an expanded Creative Cloud enterprise offering that includes enterprise-grade administration, security, collaboration and publishing services for design-driven brands, businesses and large organizations. In addition to these updates, Adobe debuted Adobe Hue CC today. Hue CC provides an easy way to capture and share production-quality lighting and color schemes – for video, film and broadcast – by using an iPhone camera and then applying these light and color moods into a Premiere Pro CC or After Effects CC project. Today’s updates to CC desktop and mobile apps are immediately available for download by Creative Cloud members as part of their membership at no additional cost. Membership plans are available for individuals, students, teams, educational institutions, government agencies and enterprises. When adding Adobe Stock to any paid yearly Creative Cloud membership plan, creatives can save up to 40 percent over purchasing stock content separately. For pricing details, visit: https://creative.adobe.com/plans. An innovative web experience for customers showcases the new features and capabilities launched today, at makeit.adobe.com. 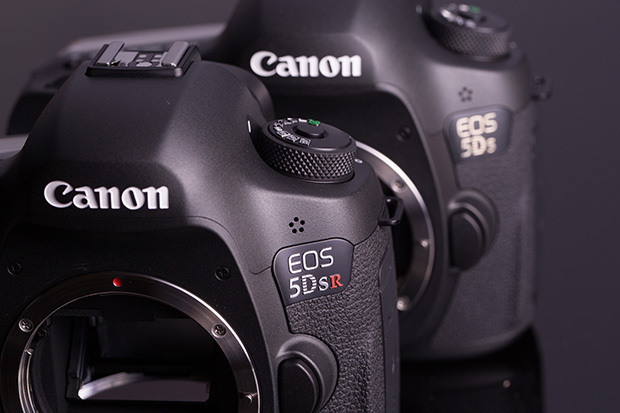 The Canon EOS-5Ds and EOS-5DsR cameras are beginning to ship all across North America. Amateur Photography of the UK has put out an extensvie review of this camera. "The Canon EOS 5DS R’s 50.6MP sensor represents a real step-change for Canon users, compared to the 22.3MP offered by the 5D Mark III. The increase in detail is striking, and improved in-camera sharpening means that it can all be delivered in the camera’s JPEG output. This does come at the cost of high ISO capability, but even at the extended setting of ISO 12,800 images are perfectly useable. This suggests that the limited ISO range available is a rather conservative decision on Canon’s part, presumably to help differentiate the 5DS twins from the 5D Mark III. As we’d expect from a 50MP sensor with no optical low-pass filter, the 5DS R gives remarkable results in our resolution tests. At ISO 50 it resolves very close to its theoretical maximum of 5600l/ph, although with some aliasing and false colour around this point, and plenty of false detail at higher frequencies. This impressive resolution drops only slightly as the sensitivity is increased, with 5200l/ph still attained at ISO 800, and 4800l/ph at the top setting of ISO 12800." 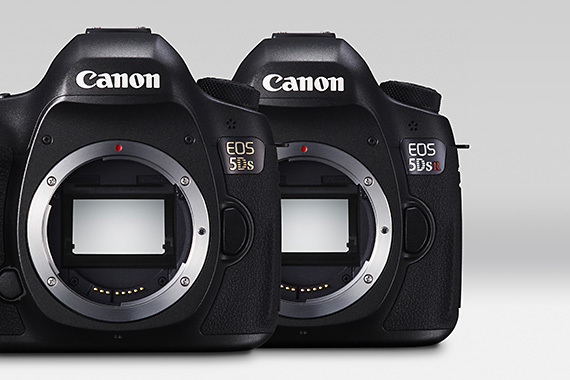 The Canon EOS-5Ds and EOS-5DsR cameras are beginning to trickle into North America. Rudy Winston from Canon USA, will be joined by Gregory Heisler and Larry Becker on Monday, June 15, 2015, to hold a live streaming panel discussion for the launch of the Canon EOS 5Ds and EOS 5DsR cameras. I will not be getting this camera because it is not the best tool for wildlife photography. 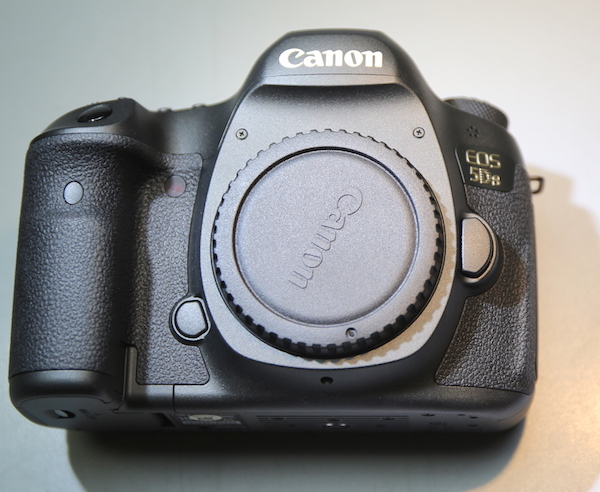 Waiting for the EOS-5D Mk IV and the EOS-1D X Mk II, coming the second half of 2015. 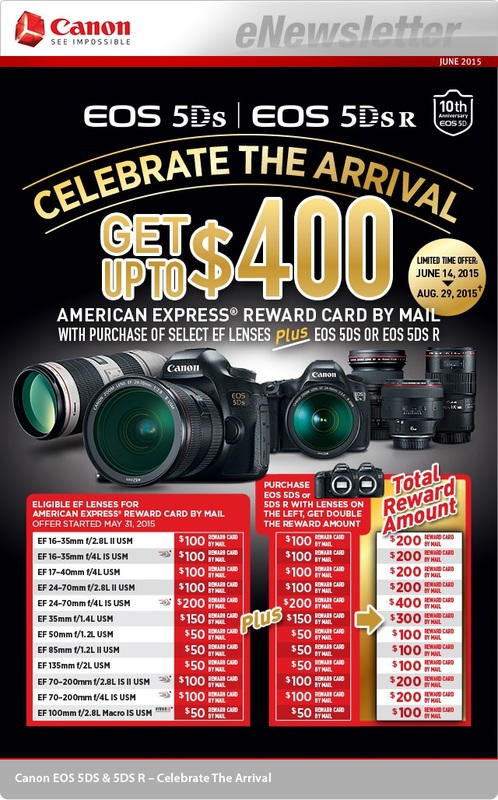 Through August 29, Canon is offering double mail-in rebates on select "L" lenses with the purchase of the new EOS-5Ds or EOS-5DsR. If you've bought the EOS-5Ds or EOS-5DsR, this double rebates will make your purchase of a new, high quality "L" lens a little less expensive. Egami, the Japanese photography blog has discovered a new Canon patent for an EF 10mm f/2.8 USM lens. 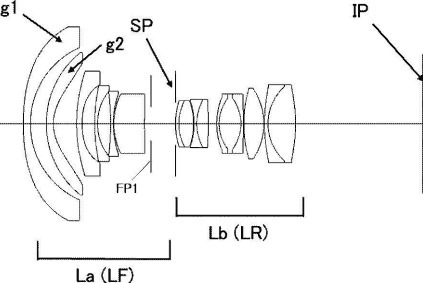 Canon already has a very wide zoom lens, the EF 8-15mm f/4L but this new patent is a prime, non fish-eye lens. 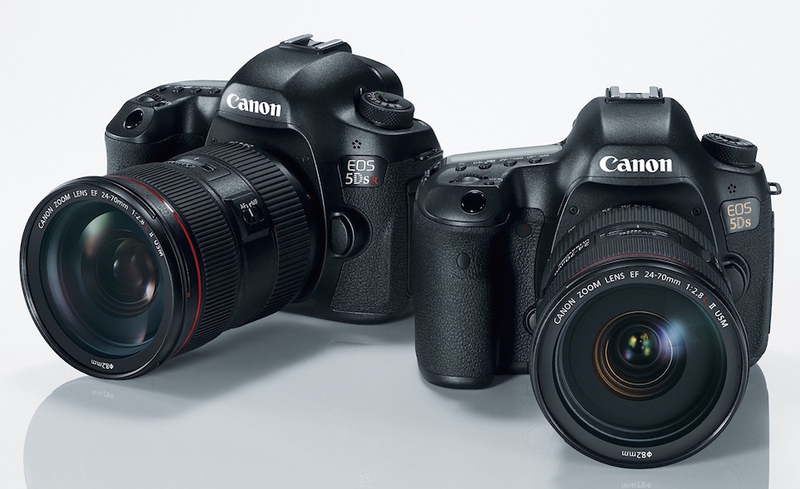 Now that the Canon EOS-5Ds and EOS-5DsR cameras are starting to ship, albeit at a slow pace, the talk has turned back to the next big full frame cameras coming down the pipeline, namely the EOS-1D X Mk II and EOS-5D Mk IV. Both cameras are expected to have new sensors and processors with unmatched dynamic range and high ISO performance. 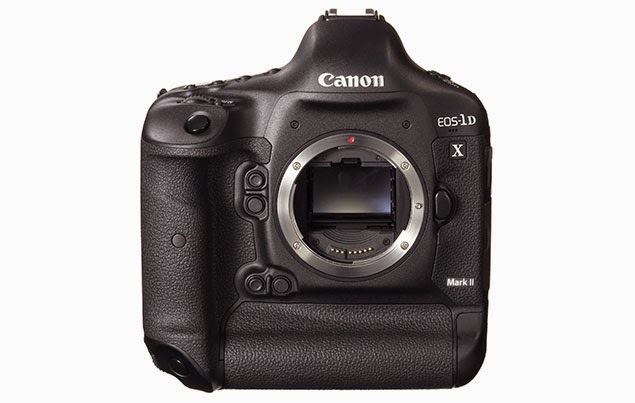 The EOS-1D X Mk II is expected to be announced first, perhaps in Q4 with an end of year to Q1 2016 delivery date. 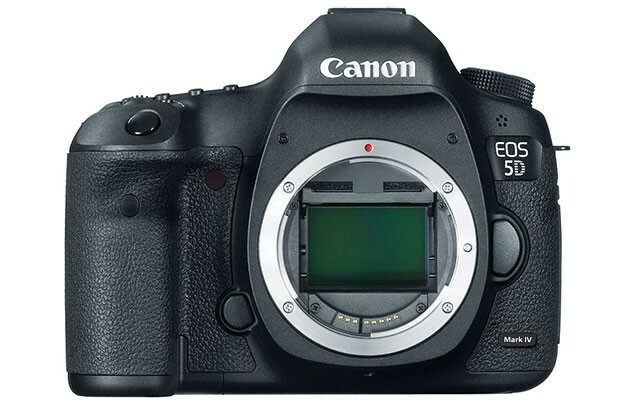 The EOS-5D Mk IV may be announced Q1 to Q2 of 2016, with delivery in the following quarter. Canon is putting on an invitation only Exposition (once every 5 years) in New York City and Paris in September, 2015. There may be some development coming out of these two events. Keep checking back for the latest development. The My Menu option is one of my favorite features built into Canon cameras. Over the years, I have used or owned every one of their SLR and DSLR bodies. The following article is written by Michael Sheras from Canon Digital Learning Center. It talks about the advantages and ease of using My Menu. Did you know that, instead of scrolling through a ton of menu options, you could personalize it with your favorite commands? 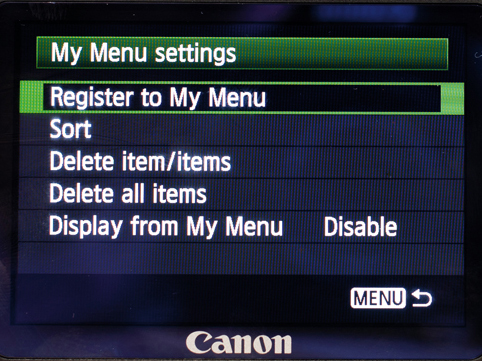 In your EOS camera, go to “MY MENU SETTINGS,” hit “REGISTER TO MY MENU,” and select the settings you want. Then exit and press the “SET” button to quickly access your new custom menu. It's as simple as that!" Now that I have explained how to create a “MY MENU” screen, I would like to give you my suggestions for what to put in your “My Menu” screen. Here are my six favorite items that I believe are most important. I will list them in the order I would place them in the “MY MENU” list. Please remember that these are my suggestions and you can use ANY six items you want in any order you wish. That is what makes the “MY MENU” feature so useful. – it’s user customizable. The original idea for “MY MENU” was conceived as a quick and easy way to reformat a memory card when you first put it in your camera. If you place it first on your list, leave the green highlight box around it, and set “ENABLE” in the “Display from my menu” option in the “My Menu” setting screen, you will create a quick and easy way to reformat a new memory card when you insert it in your camera. All you will need to do is insert the card, push the “Menu” button once and the “SET” button twice and your new card will be quickly and easily reformatted for use. [All cameras that use an LP-E6 or LP-E4 battery] All the current EOS cameras, except the Rebel series, have a “Battery Info” item in the menu list that will show the amount of battery charge as a percentage from 1 to 100. This is a good thing to be able to monitor so you should keep it easily available on your “MY MENU” screen. [All cameras with two memory card slots] This is also an item you will want to have at your fingertips. It allows you to select which of the memory cards is playing back in your camera. It also allows you to choose whether you want to record separate resolutions on the two cards or want to double record your images on both cards simultaneously for back-up purposes. It also allows you to create new folders for your images in case you want to place them in separate folders when you first shoot them. If your camera has only one memory card, then the menu item is called “Select folder.” It is still valuable because it gives you the ability to place your images in separate folders, even if you only have one memory card. NOTE : The Rebel series cameras do not have a “CUSTOM CONTROLS” item in the menu. Instead, they have two items listed in the “Custom Functions” area. Because Rebels do not have a “Battery Info” tab, you can add both the items that relate to the customizable buttons to your “MY MENU” [See Figure 5]. This is an example of a menu item that you would want to use sometimes, but not all of the time. Because you will be turning it “on” or “off” while you are in the middle of shooting, it would be very convenient to put it in “My Menu” for easy access. Highlight Tone Priority expands the dynamic range of an image from 18% gray to bright highlights and makes the gradations smoother. It is very useful for bright items, such as a bride’s dress against a white background. However, it could result in increased noise in some shadow areas and limits the ISO range to 200-3200, so you do not want to use it all the time. That is why it is useful to put it in the “MY MENU” area so you can switch it “on” or “off” more easily. 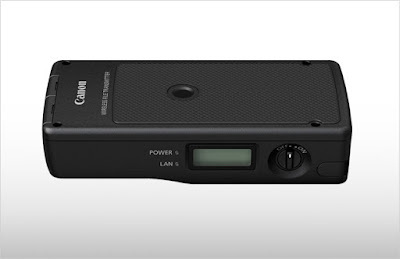 This item gives you easy access to the controls of your Canon external Speedlite by transferring the controls to the rear LCD of the camera for easier setting. If your camera has a built-in flash, it is called “Flash Control.” If your camera does not have a built-in flash, it’s called “External Speedlite Control.” Either way, it always works with an attached Canon Speedlite (Speedlite 580 EX II or newer). It also allows you the ability to have more control over your built-in flash (if equipped) and is an item you would always want to be easily accessible when using flash. 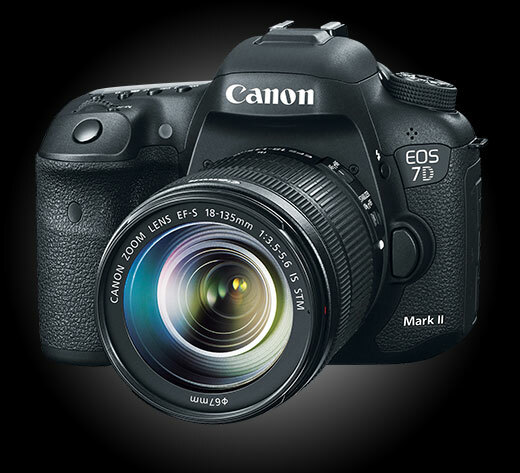 There is one new additional feature added to the “MY MENU” function on the new EOS 7D Mark II and EOS 5DS and 5DS R cameras. Instead of there just being one “MY MENU” screen with six possible items on it, you can expand the green tap up to five “MY MENU” screens, giving you up to 30 possible items in five “MY MENU” screens. There is an additional screen available which gives you the option of adding between 1-5 “MY MENU” screens and naming each one separately. Figure 6 shows how I would configure the “MY MENU” screen if there were only one, while Figure 7 shows the additional menu screen available to set up more “MY MENU” screens, if you want them. I hope I have convinced you that using the “MY MENU” tab on your EOS DSLR will make your camera easier to operate and therefore enhance your photographic experience. “Battle of the Ages,” shot on the recently announced Canon XC10 4K digital camcorder, is an action-packed comedy from YouTube filmmaker Scott Winn. Riffing on the 1980s crime drama trope, “Battle of the Ages” features two young thugs who learn the hard way that appearances can be deceiving and age is nothing but a number. Scott captured his fearless cast of three professional parkour athletes through an exhilarating chase and an epic fight scene with the XC10 mounted on a Freefly MoVI M5. They also mounted the XC10 on a DJI Spreading Wings S1000 drone with a MoVI gimbal to get a bird’s eye view of all the action. 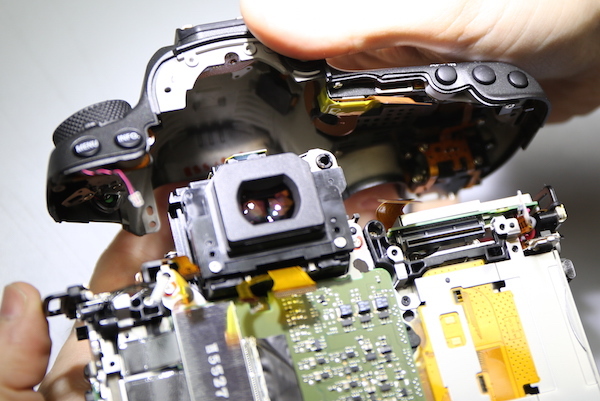 You can see a review of the camera here. 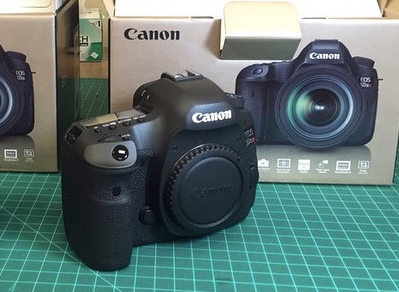 There is a highly-rated merchant on eBay, selling the Canon EOS-7D Mk II camera for $1,249 including free shipping. Hurry, it won't last. This is an excellent deal for those who want an advanced APS-C camera for sports and wildlife photography. 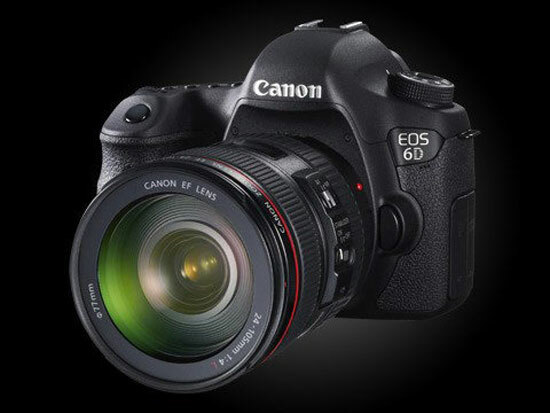 My readers know I have picked the EOS-7D as the best cropped frame camera 4 years in a row. The Mk II is fast becoming the camera to inherit that title in my book. 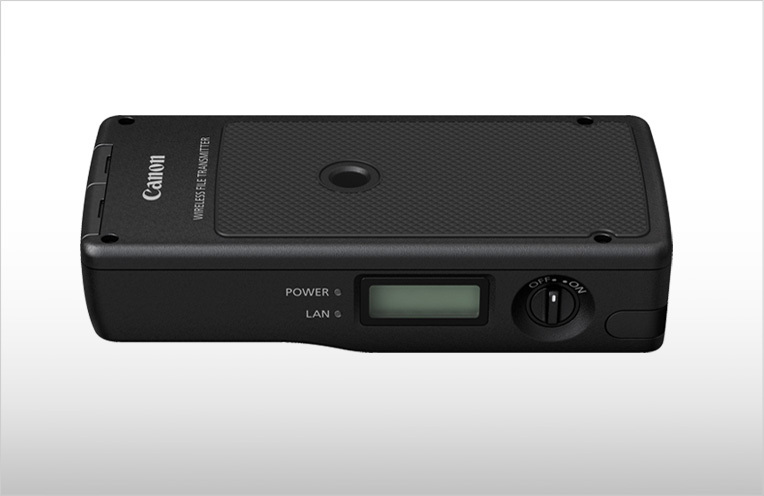 Canon released a new firmware, Version 1.0.4 last month to address some AF issues. Click here to see some great tricks and tips for this fine camera. 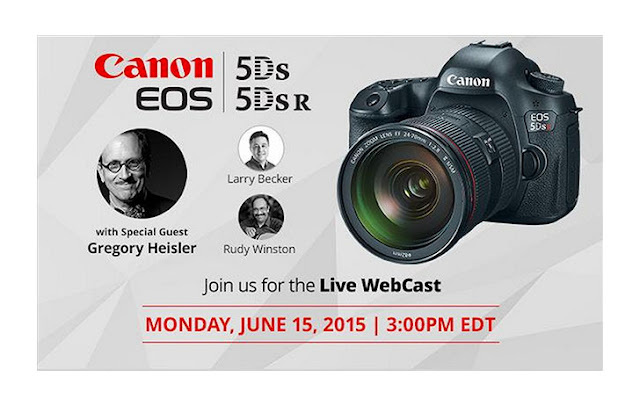 Rudy Winston from Canon USA, will be joined by Gregory Heisler and Larry Becker on Monday, June 15, 2015, to hold a live streaming panel discussion for the launch of the Canon EOS 5Ds and EOS 5DsR cameras. I will not be getting this camera because it will not be the best tool for wildlife photography. 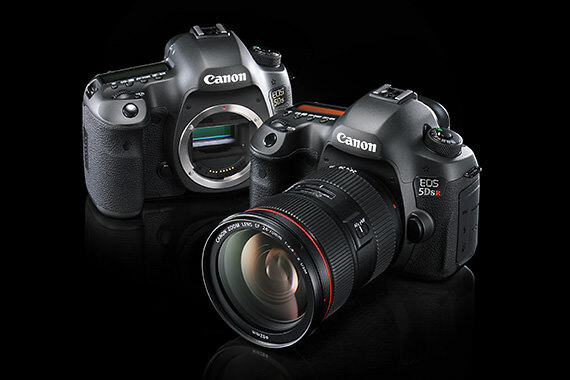 Waiting for the EOS-5D Mk IV and the EOS-1D X Mk II, coming the second half of 2015. 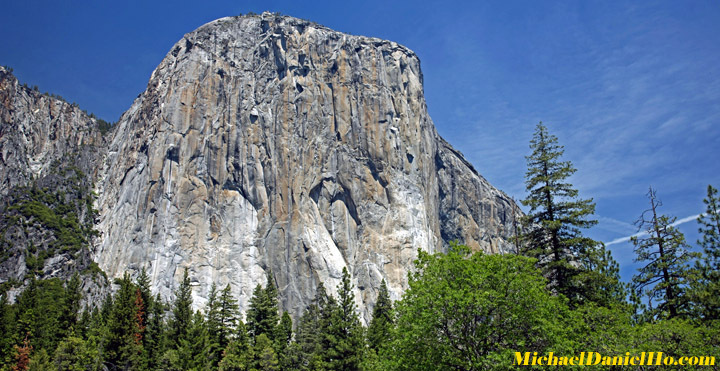 At the Worldwide Developers Conference, Apple announced their newest version OS X operating system, called El Capitan, named after the famous vertical rock formation in Yosemite National Park, California. The new OS X version will include Apple’s Metal framework, which will enhance graphics performance tremendously over OpenGL. Adobe claimed they have seen big improvement in rendering for After Effects. Similar improvement may be experienced from Photoshop and Lightroom. Full support will be provided by Adobe for Metal in all of its CC applications when the new OS X is available this Autumn. There are about 10,000 species of birds in the world. Bird photography and watching have become a very popular past time and profession for many. Identifying the birds correctly every time can be quite a challenge because of the lighting and angle, etc. Merlin Bird Photo ID is a project attempting to identify birds via a photograph. It is a collaboration between Cornell University Lab of Ornithology and Visipedia. The database is very limited right now and I find it less useful than buying a good bird field guide and peruse it thoroughly. However, it may get better with time and more funding. Below is an excerpt of their story. 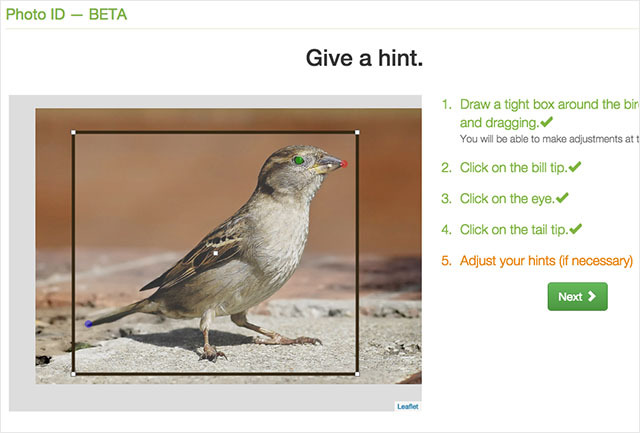 Merlin is designed to be a birding coach for beginning and intermediate bird watchers. Merlin asks you the same questions that an expert birder would ask to help solve a mystery bird sighting. Notice that date and location are Merlin’s first and most important questions. It takes years of experience in the field to know what species are expected at a given location and date. Merlin shares this this knowledge with you based on more than 70 million sightings submitted to eBird from birders across the United States and Canada. We launched Merlin with 285 species most commonly encountered in North America. Our goal is to add more species and more features to keeping improving Merlin’s accuracy through time. High on our wish list is a prompt enabling you to give Merlin a hint about the shape or type of bird you saw (e.g., songbird, shorebird, raptor). We appreciate your feedback about what’s working for you, what isn’t, and features you’d like to see. If you’d like to support our efforts to continue developing Merlin, please consider making a donation. We hope you enjoy using Merlin and sharing it with your friends and family! Jessie Barry has a passion for bird identification and sharing it with others. A birder since age 10 and now top bird ID expert in North America, Jessie thinks that leading the Merlin team is just like living a dream. David Bell is a lifelong birder who has spent his career in businesses devoted to improving the environment. His expertise ranges from birds to physics and machine learning. Dave leads the team at Birds in the Hand, LLC, which partnered with the Cornell Lab to develop Merlin. 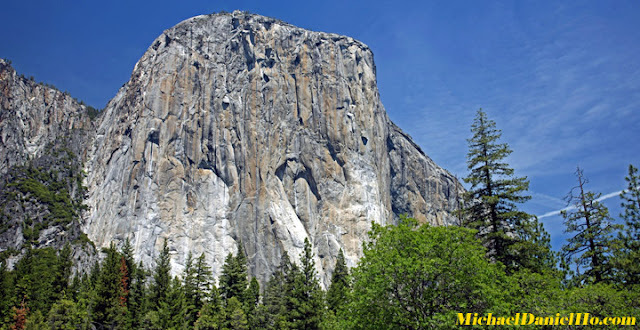 Scott Haber reviewed every photo in Merlin and still has not tired of looking at birds! As the content manager, Scott’s knowledge of birds and organization of rich media formed the backbone of Merlin and All About Birds. Sarah Seroussi created the look-and-feel and led the UX strategy for the Merlin Bird ID app. She also built this responsive app marketing website, to showcase the app. Sarah has designed several major citizen-science websites for the Cornell Lab. She has over 10 years in user experience and interactive web design. The Merlin team at the Cornell Lab includes Steve Kelling, Rick Bonney, Tina Phillips, Tim Levatich, Ben Barkley, and Luke Seitz. Special thanks to John Fitzpatrick, Adriane Callinan, Mary Guthrie, Sean Scanlon, Nicola Leckie, Hugh Powell, France Kehas-Dewaghe, Syed Rehman, Greg Desile, and Marshall Iliff. Christopher Wood: Chris has been carrying a camera on his birding trips since he was in the 5th grade, documenting one rare bird after another. Chris serves as project leader for eBird and Neotropical Birds. In addition to Brian, Chris, and Gerrit, we thank the following people for contributing images for the app: Laura Erickson, Kelly Colgan Azar, Steven G. Mlodinow, Penny Bauer, Gerry Dewaghe, Timothy Lenz, Scott A. Haber, Sam Hough, Tony Leukering, David Waltman, Mark Eden, Margo Goetschkes, William Edward Kendall, Thomas B. Johnson, Susan E. Newman, Luke Seitz, Shawn Billerman, Judy Crawford, Jim Cummins, Jason Daly, Tripp Davenport, Jim Dubois, Susan Edmiston, Olivia Graves, Cory Gregory, Dan Haas, Wanda Harnish, Burney Huff, Marshall Iliff, Evan Jackson, Adam S. Johnson, Marty Jones, Larry Jordan, Alex Lamoreaux, Thomas Meinzen, Carol Miller, April Molina, Tom Murray, Carol O’Neil, Laurel Rezeau, Arlene Ripley, Will Stuart, Jeremiah Trimble, Jim Williams, Liam Wolff, Ginnie Yerkovich, Cameron Rognan, Donna Bragg, Herb Helmstaedt, Mairis Kilcher, Michael Henry, Nancy Merrill, Tony and Louisa Katlubeck, Ed Kendall, Terry Johnson, Bill Thompson. Audio recordings: Recordings from more than 85 recordists who have contributed to the Macaulay Library are featured in this app. The majority of the recordings in this app were recorded by Geoffrey A. Keller, William W. H. Gunn, Wilbur L. Hershberger, Gerrit Vyn, Michael J. Andersen, and Randolph S. Little. Audio engineer Matt Young led the charge selecting recordings. You can explore more than 150,000 sounds and videos on the Macaulay Library website. Identification text: Jessie Barry and Luke Seitz crafted text for each species specifically for Merlin. The text is tailored for those moments when you are watching a bird in the field and using Merlin to pick among species. Thanks to Hugh Powell and Chris Wood for their valuable comments. Production models of the Canon EOS-5Ds and EOS-5DsR are beginning to reach buyers who have placed their pre-orders in after the announcement. Click here to see a set of 91 JPEG and 21 RAW images taken with a production EOS-5Ds camera running firmware version 1.01. The lenses used were EF 24-70mm f/4L IS USM and EF 50mm f/1.8 USM.